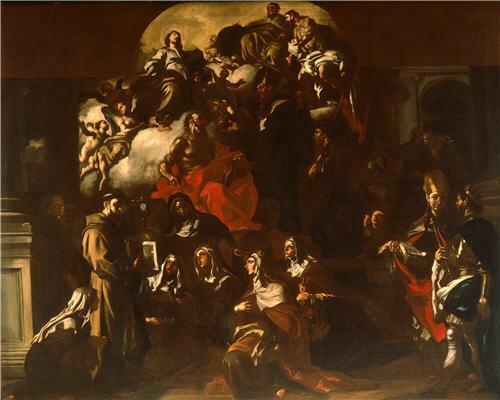 This is a preliminary study for a large altarpiece, known as a modello. 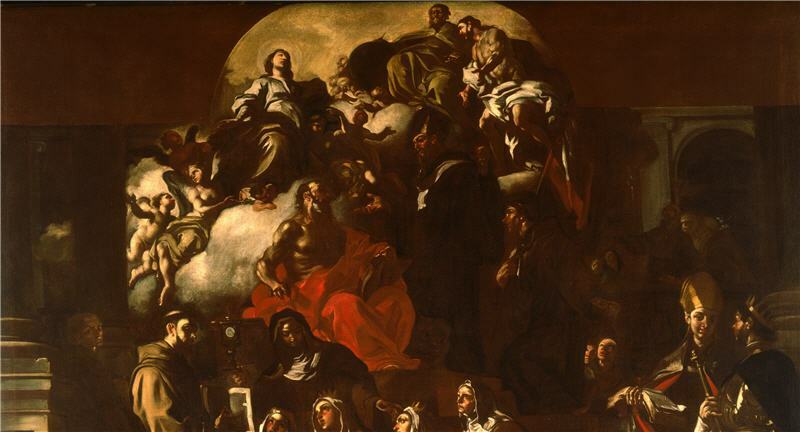 It was painted for a church of Franciscan nuns in Naples where Solimena worked throughout his life. Saint Francis, and his follower Saint Clare, are shown to the left with a group of Clare’s companions. The Holy Trinity of God the Father, Christ, and the Holy Spirit appear as a vision in the sky. The other saints include Saint Jerome who appears with his lion below the Virgin.